Rialto PD Investigates Deadly Hit and Run | WeTip, Inc.
Rialto, CA....Police are asking for the public's help in locating a suspect responsible for a deadly hit and run. 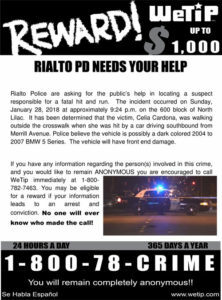 Suspect driving a possible dark colored vehicle 2004 to 2007 BMW 5 series on January 28, 2018 at approximately 9:24 p.m. Celia Cardona (55) was struck while walking on the 600 block of North Lilac and Merrill Ave in Rialto, CA. If you have any information regarding the suspect and/or the vehicle involved please call WeTip at 1-800-782-7463, ANONYMOUSLY! 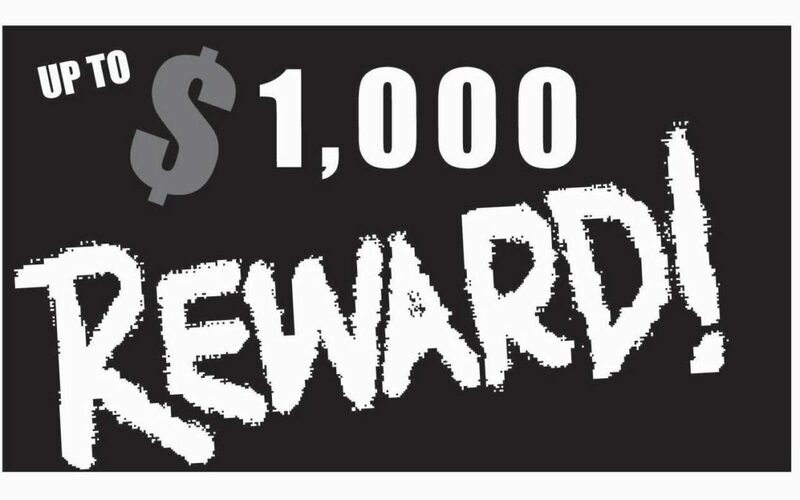 You may be eligible for a reward if your information leads to an arrest and conviction.